I specialize in designing edible gardens and orchards with an organic, art-y feel. 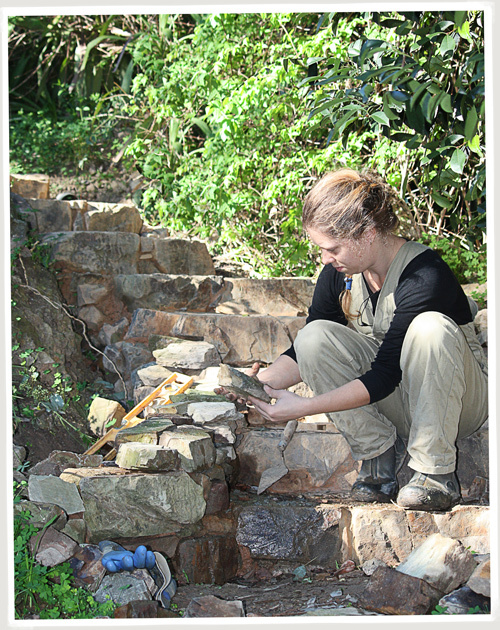 I work with people to create the garden they want and need, using stone as the focus. I love utilising the full potential of a space and making it into something beautiful and functional. 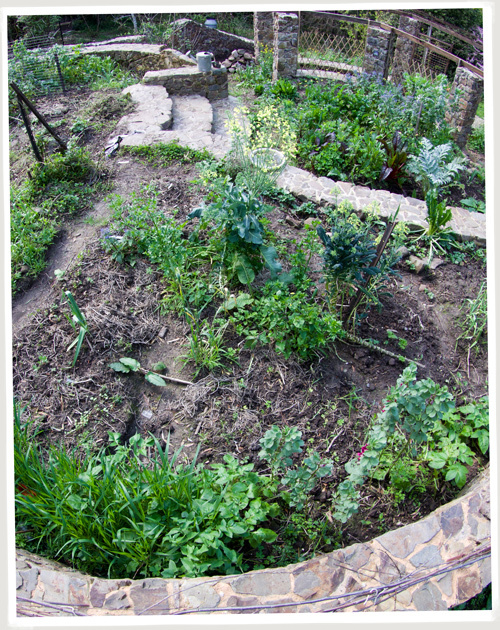 Be it a small city courtyard or a large sprawling block, we can work together to turn it into an artistic food garden. 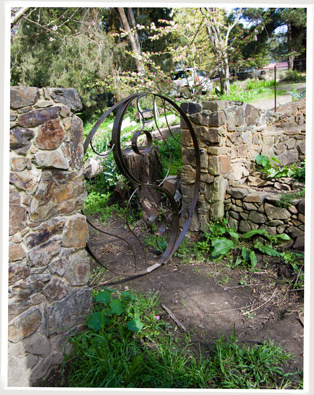 I grew up in the Dandenong Ranges in Victoria and my parents kept a vegie garden and a fruit orchard my whole life. As a result I have a lot of experience in designing food gardens that support the best food production, especially in colder climates. Stone is one of the oldest building mediums in the world. Whether a stone wall is a year old or 100 years old, it feels like it’s been there forever. Stone is so beautiful in a garden. Unlike brick or wood, it never has to be replaced. Stone brings heat into the garden. The flowers of most plants need a certain amount of heat to set into fruit and then ripen. Stone walls around a vegie garden create a microclimate where plants thrive, weeds can be easily controlled and the heat can be contained. Stone is practical, low-maintenance and functional. For anyone who values health, the vegie garden is the heart of the home. Until I re-built our home vegie garden with stone we were never able to successfully grow tomatoes, eggplants or pumpkins. Now we have an abundance of these and more! 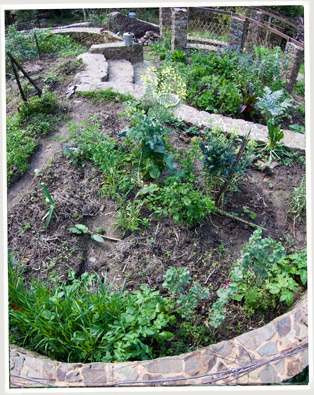 I like the way stone allows me to design an edible garden that works with the natural lay of the land. Nature rarely has straight lines, and my stonework reflects that. It’s curved and interesting and a little crazy.